To answer the cardboard washout question. No it was not photo shop later, the effect you call wash out is the reflection from the sun… the cardboard photo is bent in 2 different places. Yes it’s lame, but it is obviously funny as hell! 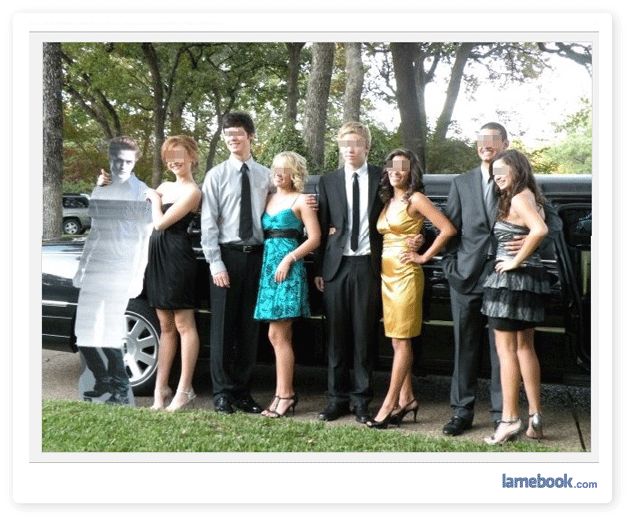 i happen to know the people in this picture with the cardboard cutout. its not prom idiots its a karrousel. and she just didnt have a date so one of the guys stole it from one of our teachers and she pretended it was her date. it was actually pretty hilarious! @lovealways: I’m trying to figure out what you mean by “karrousel”. Please explain? 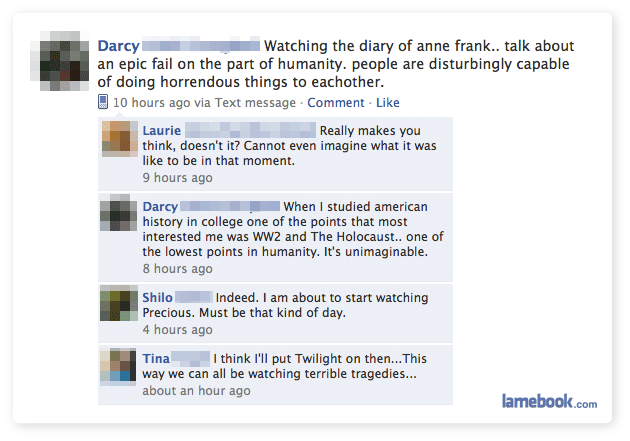 1) Tina, the fact that you compared Twilight as a tragedy to the previous posts makes you a sad human being. 2) Desperate, and even that seems to be an understatement. 4) There you go, Tim. 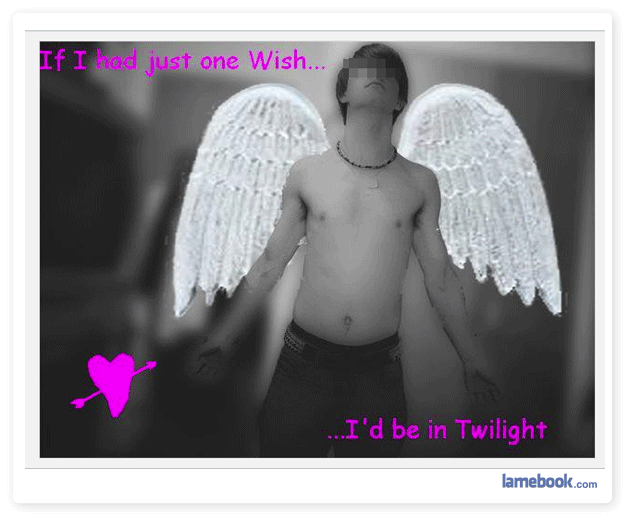 @ Xepher: I think Tina is being sarcastic by stating that Twilight is a tragedy in itself. i guess karrousel is only in my town.. its a big exclusive dance that costs a bunch of money and you have to be invited to go. I hope that girl with the cardboard edward is NOT serious….hes so freaking UGLY, and creepy…what about him do girls find attractive?? Gotcha. Thank you for explaining. My town had a debutante ball (“Belle Ball”) just for the pretty, rich girls. It was also by-invitation and quite expensive. I was neither pretty nor rich, so I was pretty well SOL on that one. So it’s a douchebag party then? Fitting considering the subject of the cutout. I dunno, Card-wards girlfriend looks like the happiest of all the people in that picture… maybe there’s something to be said for a date you can carry with one hand, doesn’t talk back, and at the end of the night you can choose to either throw him in the dumpster or shove him in the closet for next time. I have a Kard-sten Stewart one…but she sleeps with me in my bed..I have a good imagination. too good.